All Bachmann Steam Locomotives are in descending numerical item order. Class E4 0-6-2 32500 BR Lined Black Late Crest. Class E4 0-6-2 32556 BR Black Early Emblem. Class E4 0-6-2 2517 Southern Green. Class E4 0-6-2 473 Southern Green. Class E4 0-6-2 579 LBSC Umber. LNWR Webb Coal Tank 0-6-2 Steam Locomotive 58900. LNWR Webb Coal Tank 7841 LMS Black. BR Standard Class 9F 92211 BR (SR) Large Tender. Ivatt Class 2MT LMS Black. Ivatt Class 4MT 3000 LMS Black. K3 Class 61862 BR Lined Black Early Emblem. K3 Class 1304 LNER Lined Black with Group Standard Tender. WD Austerity 79250 'Major -General McMullen' LMR Blue. Fowler Class 3F 0-6-0 Jinty 47673 BR Black Late Crest Weathered. Fowler Class 3F 0-6-0 (Jinty) 7365 LMS Black – DCC Sound. LMS Crab 13174 LMS Lined Black. Southern N Class 1406 SR Black. Class 56XX Tank 5637 GWR Green. BR Standard Class 3MT Tank 82020 BR Green Late Crest - Weathered. 41157 BR Lined Black Late Crest. 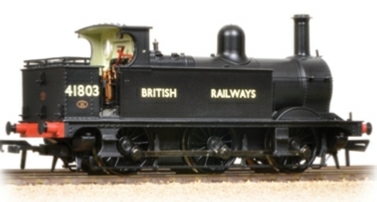 Midland 4-4-0 Compound 40934 BR Black Early Emblem. 4-4-2 32424 ‘Beachy Head’ BR Black Early Emblem. H1 Class Atlantic 4-4-2 No 39 ‘La France’ LBSCR. Midland Class 4F 44044 BR Late Crest - Weathered. Midland Class 4F 3848 Midland Black Crest. Class 6959 Modified Hall 7903 Foremarke Hall in BR lined black with early emblem and Hawksworth tender. GNR Class C1 4-4-2 Atlantic 272 GNR Green. GWR 3700 Class 3708 'Killarney' Great Western Green. Stanier 2-6-0 Mogul BR Late Crest. Stanier 2-6-0 Mogul 42969 BR Lined Black Early Emblem. Stanier 2-6-0 Mogul No.2965 in Lined LMS Black. 6424 0-6-0 Pannier Tank GWR Green. 43620 BR Black Late Crest - Weathered. Class 3F 3520 LMS Black Deeley Tender. British Rail Green 'Pearl Diver'. 'A H Peppercorn' 525 LNER Apple Green Single Chimney. C Class 31579 0-6-0 BR Black Late Crest. Midland Class 1F 41726 BR Black Early Emblem Vacuum Fitted Enclosed Cab. Midland Class 1F 41803 BRITISH RAILWAYS Black. Class 1F 0-6-0T BR Early Emblem. Open Cab, excellent cab detail. 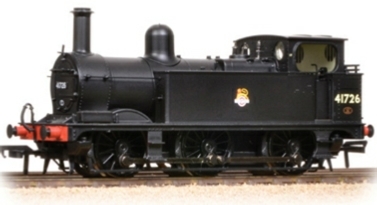 Robinson Class J11 64325 BR Black Late Crest. 45538 'Giggleswick' BR Lined Green Early Emblem. Patriot Class 45504 'Royal Signals' BR Green Late Crest. Jubilee 45565 'Victoria' BR Lined Green Late Crest Weathered. No.50705 BR Lined Black Early Emblem. No. 62682 'Haystoun of Bucklaw' BR Lined Black Early Emblem. No. 6385 'Luckie Mucklebackit' LNER Lined Black. 2-8-0 3036 BR Black Early Emblem - Weathered. 2-8-0 3023 BR Black Early Emblem. 3200 (Earl) Class 3214 GWR Green Shirt-Button Monogram. 3200 (Earl) Class 9028 BR Black Early Emblem. 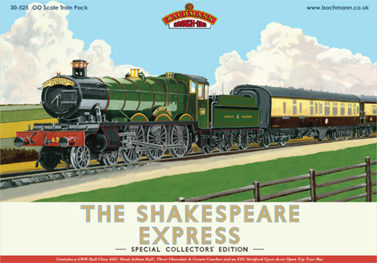 Special Collectors Edition train pack. DCC Ready, GWR 57xx Pannier Tank in GN&SR lined livery (as featured in the film). Scenecraft Oakworth Station building (specially commissioned). This collectable gift pack will delight fans young and old, of the popular childrens film. 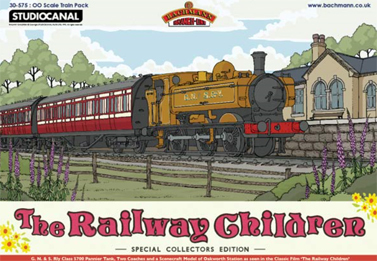 Based on the novel of the same name by E. Nesbit, the film follows the adventures of the Waterbury children on the fictional 'Great Northern and Southern Railway' in Yorkshire. The director Lionel Jeffries used the Keighley and Worth Valley Railway and its station Oakworth as a backdrop for the film. GWR Hall Class No.4963 'Rood Ashton Hall' in GWR livery. Three Brown & Cream Coaches and an EFE Stratford-Upon-Avon open top Bus. GWR Class 3700 No.3711 "City of Birmingham" in WWI khaki livery, 3 x coaches in olive green & 6 x WWI figures. 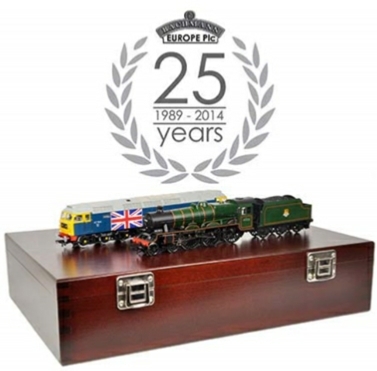 Bachmann 25-2014 Silver Anniversary Pack.